Hot tub manufacturing giant Watkins Wellness has ramped up production of its Caldera Spas range to give dealers a double delight with a brace of new models and cutting-edge enhancements across all of the ranges. Distributed in the UK by hot tub and wet leisure product powerhouse Certikin, the enhanced Caldera Spas range now includes the Provence and Florence models to help dealers build on a record year for the iconic manufacturer that is not resting on its laurels; and is instead steaming ahead into the New Year with additional options to entice prospective customers to the network of dedicated British showrooms. Coming in at 213cm x 198cm x 89cm. the Provence, pictured, is a stunning new four-person model introduced to meet consumer demand for a smaller spa with two lounger seats. It has been designed to fit through a standard doorway and is smaller than the top-selling six-seater Caldera Spas Tahitian option from the Utopia Series, which incorporates a lounge seat and has gained a 2017 WhatSpa? Best Buy Award accolade in the £10,000 to £14,999 price category of the consumer magazine. The state-of-the-art Provence model features an EcstaSeat plus an UltraMassage lounger with Atlas massage system. The EcstaSeat lounger is designed specifically to fit people that are under 5ft 6, while the UltraMassage is the more traditional lounger, similar to the one in a Tahitian. With its two 2.5 HP pumps and 43 jets, the Provence is proclaimed to have unbeatable performance. Both loungers can be fully powered at the same time and, with only one diverter tied in with the EcstaSeat, the middle seat with the powerful Euphoria jet can be activated. Designed to accommodate six people, and coming in at 213cm x 213cm x 91cm, the Florence is a larger and fully-featured new Utopia Series option with open seating. Incorporating 46 therapy jets, an Atlas massage system, foot ridge and Avante cabinetry, the Florence has all the signature comfort, design and performance features of its Utopia Series counterparts. The thoughtfully-engineered seating makes it an ideal option for consumers who prefer a mid-size hot tub without a lounger. Taking the user experience to a whole new level, Watkins Wellness has also introduced a new touchscreen control panel on all of the 2018 Utopia Series models. Using advanced technology, the Advent LCD touchscreen control panel features a full colour menu with simple and intuitive user-friendly navigation. The high-resolution 11cm colour display offers one-step control for jets, lights, and music. It has 180° screen rotation for ease of use within the hot tub, a waterproof screen, sealed housing and a built-in light sensor for automatic backlight dimming at night. There is also mood lighting with four pre-set colour modes to create the perfect ambiance in and out of the hot tub. 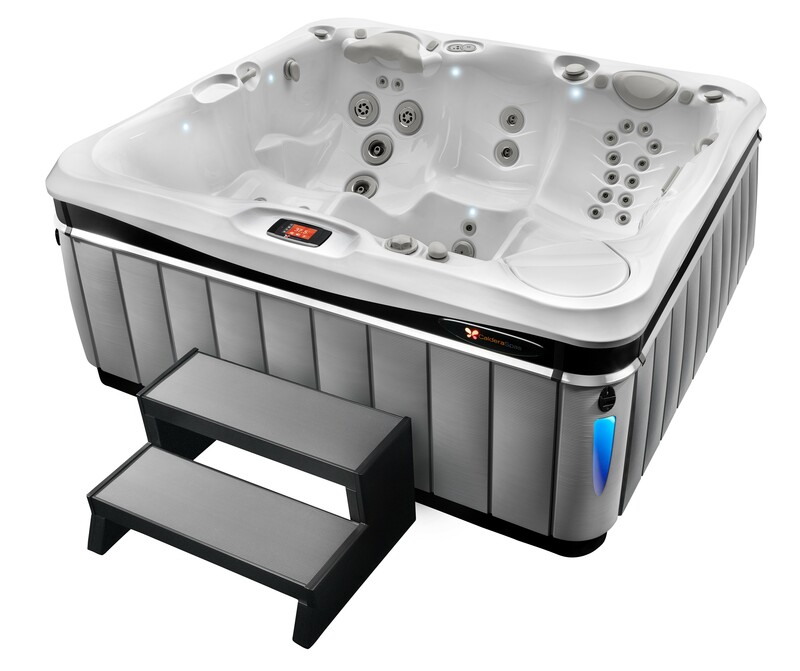 With convenient access to the automatic clean cycle plus hot tub temperature display, both from the home screen, it provides users with user-friendly capability. Significantly, the memory function allows each user’s preferred settings to be saved. Meanwhile, all Utopia models will continue to feature an auxiliary control panel allowing the jets and lights to be controlled from a second location within the hot tub. Certikin will be promoting the Caldera Spas range and dealer opportunities during the 22nd edition of SPATEX at the Ricoh Arena in Coventry, from Tuesday, January 30, to Thursday, February 1.